Join Pleasanton RAGE Girls Soccer Club for the inaugural speaker in a fantastic series intended to inspire, motivate and empower young female leaders of tomorrow. 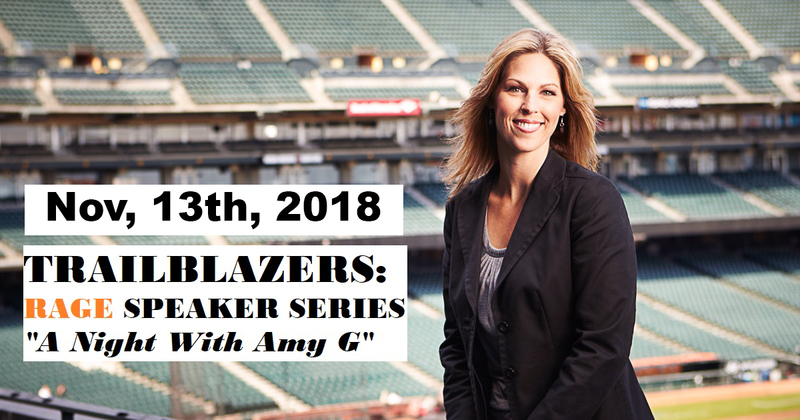 San Francisco Giants sideline reporter Amy G will be on hand to discuss her journey in broadcast journalism; as well as, answer any questions you may have for her. You won’t want to miss this historic night, so buy your tickets now as they will go fast!